When humans experience a loss, they go through a complicated cycle of grief. There's evidence that cats can go through their own form of grief when another pet or human in the home dies or leaves. While we don't know whether they experience precisely the same feelings as we do, it's clear that they do go through something. Of course, cats are individuals, and there are as many ways to show grief as there are in humans. Watch for any changes in behavior that might indicate grief. However, it's also important to remember that your cat might become ill with a medical condition coincidentally with the loss of another pet or family member. Don't misattribute signs of illness for those of grief. Visit your veterinarian right away if you're not sure. Try to give your cat what she seems to be asking for. If she wants more attention, do what you can to provide it. If she wants time to herself, let her be while remaining close and watching for signs of illness. 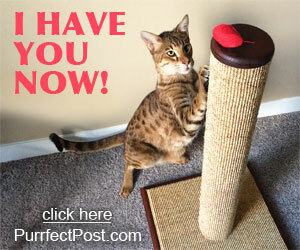 Try to encourage your cat to return to the things she used to enjoy, such as interactive play. Don't push too hard, but continue to offer those things. Over time, she should return to her previous levels of enjoyment. Keeping your home as calm as possible. Reduce or eliminate other stressors while your cat is grieving. It will help her move through it faster. Don't encourage unwanted behaviors. While you should do your best to provide what your cat seems to want while she is experiencing grief, it's important not to inadvertently trigger habits you don't want her to continue long-term. For example, if your cat is meowing incessantly for attention, try not to provide it until she's quiet for a moment. Then shower her with pets and praise. Keep the routine normal. As much as possible, keep your cat's routine normal during the grieving time. 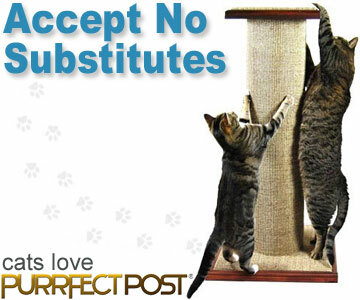 That provides stability that can help your cat adjust. While you are focusing on your cat's sadness, be sure you don't neglect your own mental health. You are likely feeling grief too so do what you need to do to be kind to yourself. Don't hesitate to contact your doctor for a referral for counseling, which can help tremendously with processing grief. Jessica K. Walker, *. N. (2016, Nov.). Owners' Perceptions of Their Animal's Behavioural Response to the Loss of an Animal Companion. Retrieved from Pubmed.gov: DOI: 10.3390/ani6110068.